There are countless web browser options available out there, but none of them compare to Lunascape – The first triple engine browser worldwide. This incredibly easy to use web browser was originally developed for use in Japan, but it’s now also available in English. It’s highly customizable, very user friendly, and will almost certainly become your web browser of choice once you’ve got it installed on your Windows system! -Quickly and easily switch between various rendering engines (Internet Explorer, Firefox, Safari, and Chrome) so that you’ll no longer have to put up with browser specific issues. -You only need to close a tab if it crashes, not the whole browser. -A display of possible crash initiators after a crash and the option to close them before continuing to browse. -Use your mouse to navigate the pages (close, refresh, etc.) instead of your keyboard or toolbars. 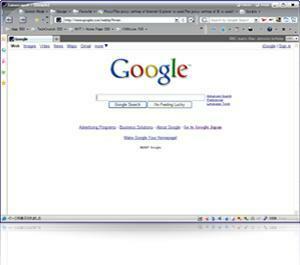 -Tab browsing so that you’re able to have multiple web pages open at one time. -Lets you get RSS feeds for all your favourite blogs and websites. -Subscribe to podcasts and let the browser tell you when there’s new material to listen to. -Make your browser as unique as you are with a wide variety of skins to choose from. -An abundant number of plugins so that you can expand and customize your experience with Lunascape as much or as little as you’d like. -An autosaver in case you accidently close your browser. -Security management to help protect you from viruses and other malicious properties. -Search by using any search engine you’d like! If yours isn’t already on the list, simply add it.